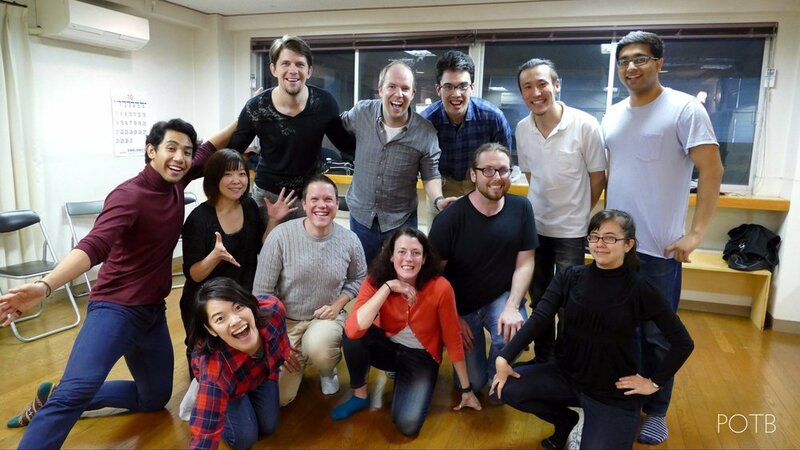 Improvisational comedy is a challenging skill to pick up even in your native language. So how do you do it in two languages? 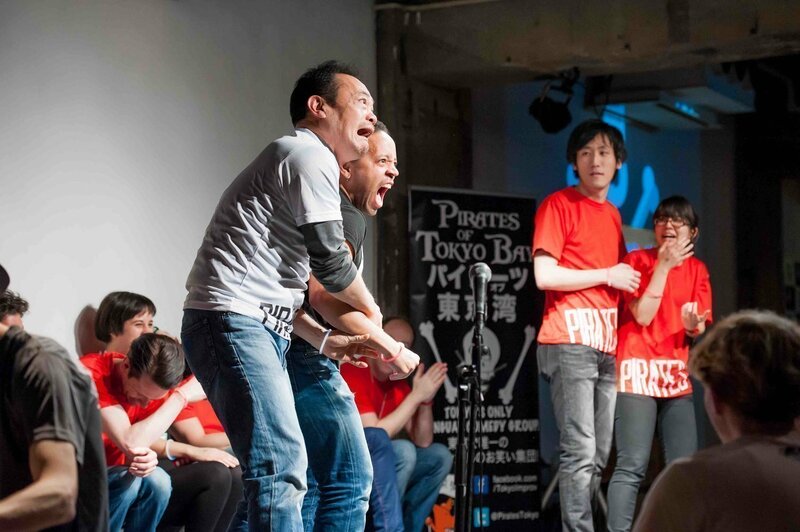 The Pirates of Tokyo Bay have been pulling it off for nearly seven years — here are six quick tips that will help you get any audience rolling in the aisles! Different audiences laugh at different things — physical vs. political humor. Everyone laughs at awkward romantic scenes. Gauge your audience at the start of each show. Use the intro or first games to see if the audience consists of more speakers of one language or another and tailor your scenes and characters accordingly. Break up linguistically heavy games with physical humor that everyone can enjoy with minimal effort. Mixing cultural points is also important. 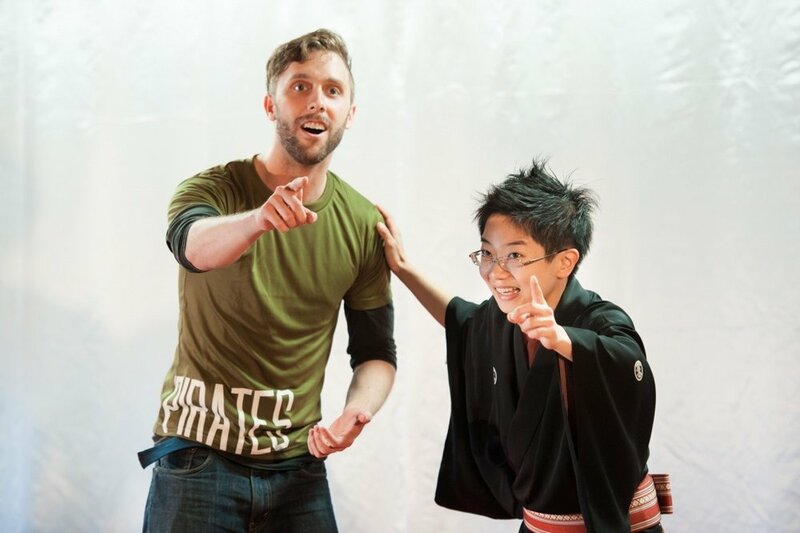 Play a character from your neighborhood who just happens to speak fluently in another language. This creates depth and avoids repeating things we’ve seen or done before. Different cultures means less shared cultural references. You need to trust your partner even more. Take your characters to Family Mart, not Tim Hortons. Sure it’s impressive when a character switches seamlessly from one language to another, but rather than show off, use your ability to show what’s similar or different between the two languages by honestly emphasizing your and others’ mistakes. The audience has more than likely been in your exact position before, and being relatable and realistic and humble all at the same time is usually more satisfying in the end for everyone involved. 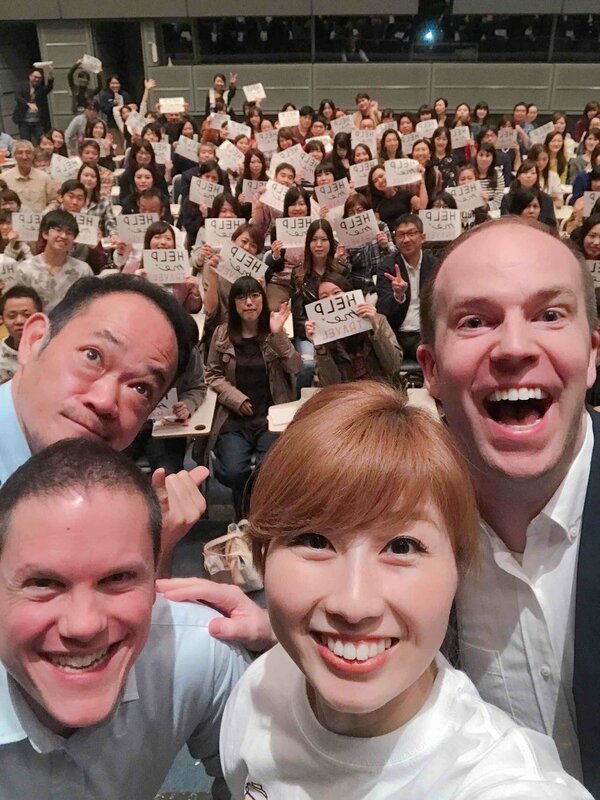 Check out our TED@Tokyo talk “Why you won’t die on stage” about bilingual improv. 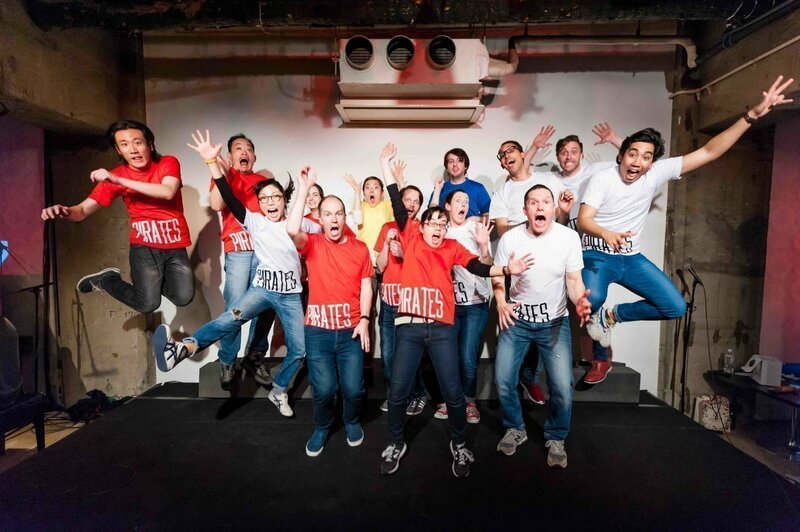 Interested to see how the Pirates of Tokyo Bay pull it all off? Our next show is on October 29, 2017 in Ebisu, Tokyo. It’s our annual cancer charity fundraising show. Details and ticket information here. Our last show of the year (and our biggest) will be our seventh anniversary show in Roppongi on December 3. Details and ticket information here!